Most conference events will take place in the Indiana Convention Center & Lucas Oil Stadium, 100 S. Capitol Avenue, Indianapolis, IN 46225. 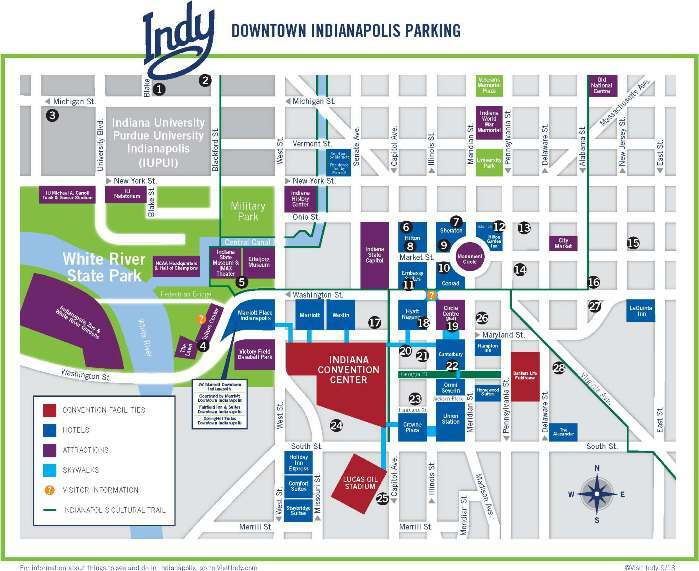 Parking rates in downtown Indianapolis vary. Contact individual garages/lots for more information.